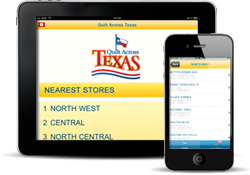 This tool is designed for Quilters to bring all the main information about Quilt shops that are nearby. It provides a listing all the quilt shops nearby which enables to find the nearest store and open the map to get there. The user can add the frequently accessed stores to their favourites so they can easily access them in future.